With the rise of smartphones, app abandonment is also fast becoming a major concern for most publishers especially for the smaller ones. Recent data shows that users stick to using only familiar apps from well-known developers. They are very app-savvy, always on the lookout for new apps to download but usually end up abandoning these apps from lesser known developers altogether. 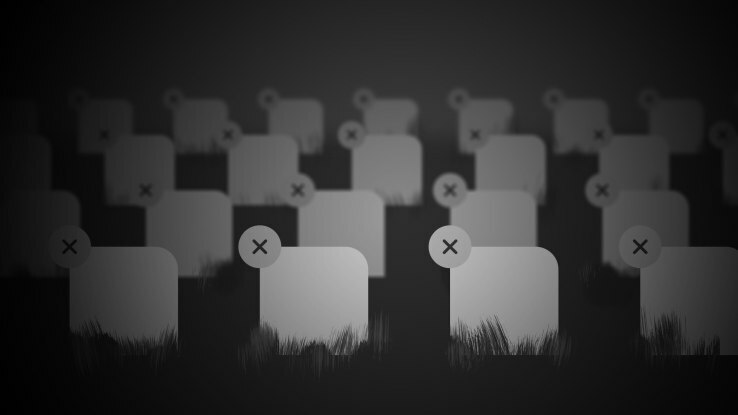 A lot of new devices are being activated daily just to be a graveyard for unused apps. 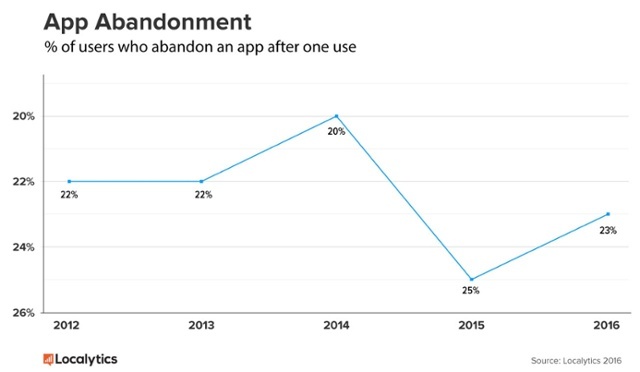 A lot of reasons can be attributed as to why people abandon and uninstall apps. Let’s find out how to make your app survive and get useful tips to thrive in this age of abandoned app catastrophe. Most apps are opened only once and are then left to rot in a corner of the device’s screen. User onboarding should be initiated with perfection in mind. It is where the initial interaction between user and your app happens. User onboarding is a critical part in making the user come back to your app and lure them into using it frequently. This is the best time to make an exciting first impression and to give you a head start in cementing your brand’s reputation with your customers. It is also the perfect time to show users how easy it is to get started using your app. With the plethora of modern tools available, user onboarding is not a difficult thing to set up in this day and age. Depending on the type of app you have, sometimes, simply showing the users a few straight-to-the-point, actionable screens will do the trick. For complex games, however, a full-fledged onboarding experience is recommended. Progressive onboarding style plays well in showcasing the relevant parts of your game while letting the users experience it. The success of an onboarding campaign can be achieved only when you have your user’s satisfaction in mind. Focus on what your users want to achieve from downloading your app and set that as a foundation for your campaign. Don’t forget to take into consideration the common onboarding pitfalls. Always provide a “Skip” button so your users can simply opt out from the process if they want to dive right into the main features of your app. And at the same time, you should also provide a button to easily access the tutorial page when needed. Remember that the user on-boarding process is a continuous effort that you can always improve over time. And make your registration process as easy as possible. Users will not take the time to fill out a long questionnaire especially if they can’t see a real concrete reason for it so use social login tools like Facebook and Google to streamline the registration process. Recent statistics show that free apps are most easily abandoned as compared to the paid versions. It isn’t because the free apps don’t provide enough value to users – it is just that there is no financial reason to keep it. So it is a good time to completely rethink your app monetization strategy and perhaps reconsider your direction. If your app offers tools and services, it would be ideal to go to the pay-per-download route. However, if you offer games, then freemium is still the most sustainable and profitable pricing model to implement. No matter which way you choose, always remember to give users valuable content and unique experiences in order to survive the possible app abandonment apocalypse. If your app cannot provide real value to users, then your app is most certainly destined to fail. All these changes cannot be done in one blow. It definitely requires a lot of work. The best way to deal with it is to carefully implement your master plan one step at a time. Your app does not have to be everything to everyone. Keep users hooked to your app by keeping new updates coming. User interest will keep rising as meaningful updates, new levels and features are added to your app regularly. If you don’t have analytics tracking in your App, add it immediately and study the data to figure out where users are getting stuck or where they spend a lot of time and look for new ways to improve. Games often fall victim as the most deleted app. Most games have limited life cycle which could be one of the reasons why they are easily forgotten. 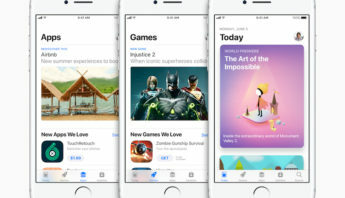 But, mostly, the prevailing source of this apparent catastrophe is that users seem to easily lose interest in games due to the overwhelming choices available in the app stores. 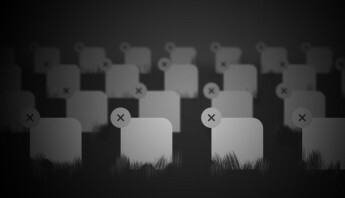 Games can easily come off as simply – disposable. An app littered with ads will never give a satisfying experience to your users. These apps are the ones that are easy to abandon and most definitely are destined to fail. A lot of publishers are eager to generate short-term revenue streams from their apps but are missing out on the long-term and more sustainable profitability that lies ahead of them. Monetizing your app is one of the trickiest things to get right in app development. However, it is also one of the most rewarding if done with the right amount of caution. Be sure to take extra step in planning your strategy, it could make or break the success of your app in the long run. Privacy invasion is one of the biggest drawbacks among users from actually using your app. People will most likely discard an app that asks for too many permissions upon opening it for the first time. Users are aware that some personal information and in-app permissions are needed in order for them to use an app. However, developers should still carefully plan the privacy requirements of their apps. Keep away from unnecessary in-app permission requests and stick to the ones that are critical in running the app. Collect necessary data without compromising user experience. Consider asking for permissions and personal data by having them complete the information in set installments. Additionally, it would be beneficial to give quick explanations as to the reason why you are requesting such in-app permissions. In doing so, your users will feel more secure and confident about using your app. The less permission requests and user information you ask, the better chance you get eschewing app abandonment. Generally, reducing the occurrence of bugs and technical flaws from an app before launching will save you a lot of trouble in the long run. Many issues with mobile app marketing usually stems from having an app littered with bugs. We know that these flaws cannot be totally eradicated, but you can always do your best to reduce them. Thorough testing your app both before and after launch is very critical for its success. Most commonly, an app that crashes and freezes are the ones that spark instant anger from users. And, we know what can happen next if user’s emotions are provoked. This is the time when they will likely stop using your app or worse, uninstall it after leaving a bad review coupled with a one-star rating. You don’t want this to happen but you can’t blame them for doing this either. Instead, you should make it your goal to release an app with the tiniest chance of bugs. Keeping a close eye on your app even after launching is critical in catching glitches. One way to do this is to constantly analyze crash logs. Aside from that, you can also create a simple in-app form where customers can submit potential issues. Keep watch on social media conversations by using hashtags to capture useful feedback from your regular users. Lastly, make sure to apply fixes to the flaws you find immediately to avoid unnecessary setbacks. Asking for ratings and reviews is an effective method to increase the likelihood of your users actually giving your app a review. It is good to remind them every now and then but it has to be done with great caution and utmost cunningness for timing. Honest feedback is earned. As we have mentioned above, start by building a reliable app that provides valuable content and an unique user experience. As you build your way through a strong user relationship, good ratings and reviews will come easy. 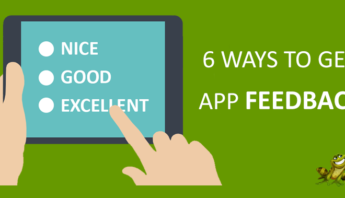 Getting positive reviews and 5-star ratings in the app stores can be a driving force to draw more people to your app. A lot of discerning users base their decisions from reviews they read and ratings they see in the app stores. In-app messages and push notifications are proven effective in improving app retention rate. They can stimulate growth amongst loyal users and help foster healthy mobile app engagement. Studies show that users will likely revisit an app if they see a push notification after their first use. However, push notifications need permission from the user before they can be delivered. This is where in-app messages come into play. Users don’t need to opt-in to in-app messages for them to see your message. Given that, in-app messaging is a practical and easier way to engage users and help them in the onboarding process. 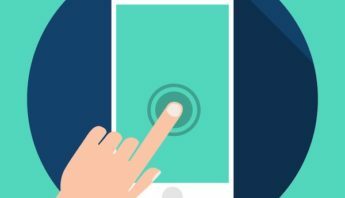 See how push notifications can help your app improve engagement here. 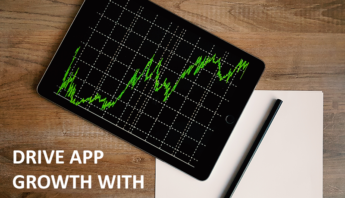 In order to effectively shun app abandonment, you need to start seriously tracking your app analytics data and crash logs. Let’s face it, users will not always take the time to write and tell you what went wrong and why they are leaving your app. It’s your job to gather the needed information and take time to analyze it. Data from analytics will give you actionable insights that will help determine how users interact with your app, how many of your updates they have installed, how many in-app items they have purchased or similar critical information. Use the data to enhance your app and to keep the app tailored to what the users want. Competition for user’s attention has never been this fierce with the growing mound of apps being published on the app stores daily. App abandonment rate can be skewed by understanding what the user wants and giving them what they demand. Offer unique and memorable experiences while making their life easier with your app. Keep your app fresh and stimulating by releasing consistent updates. Whether it is solving a problem or providing a source of entertainment, users always get excited to go back to an app when there is fresh new content. Finally, evaluating your analytics by tracking your data is one of the best ways for a developer to combat abandonment. Issues can be easily fixed if you have the right information.